Flange is a disk-shaped parts, the most common in the pipeline project, flanges are used in pairs. In the pipeline project, flanges used to connect pipes. 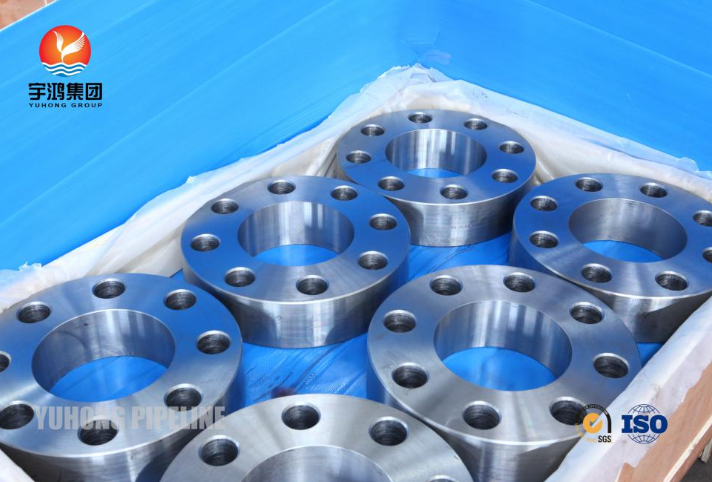 The need to connect pipes, various mounting a flange, low-pressure pipe can be used silk flange, four kilograms more than the use of pressure welding flanges. Between the two flange seal point, then bolted. Different pressures flange have different thickness and different use of bolts. Pumps and valves, and when the pipe connections, these local facilities and equipment, also made the corresponding flange shape, also known as the flange connection. All in two planes at the same time surrounding the use of bolted closed parts, generally referred to as "flange", such as ventilation pipe connections, this type of parts can be called "flange parts." But this is only a partial connection device, such as flange connections and pumps, on the bad pumps called "flange parts." Relatively small, such as valves, etc., can be called "flange parts." Flange is how a connection? Flange connection is an important connection pipeline construction. Flange connection is the two pipes, fittings or equipment, each fixed to an upper flange, between two flanges, plus Flange Gasket, bolted together to complete the connection. Some fittings and equipment already comes with flange, also belongs to the flange connection. Flange points threaded connection (wire connected) flange and welding flange. Low voltage small diameter wire flange, high and low pressure large diameter are using welding flange thickness and bolt diameter and number of connecting different pressures flange is different. Depending on the level of pressure, flange Gasket there are different materials, from low pressure asbestos pad, high pressure asbestos mat to the metal pad has. Flanged easy to use, able to withstand greater pressure. In industrial pipe, flange connection using a very wide range. Within the family, the pipe diameter is small, and low pressure, invisible flange connection. If a boiler room or production site, everywhere flange connection pipe and equipment.Note especially when connecting bolts when to do the same tight all bolts. What use is the flange? It is used to locate the flange. For example, there is a fuel tank mounting flange mount is called, is such a symmetrical rectangular four weeks to play four holes, the middle of a large hole and the same cylinder diameter, this box set in the cylinder may be welded between them after the other together in a fixed manner, cylinders and other things that are connected by the four holes around the rectangular connector, the box can be called a flange. Faucet valve is the same thing, or that the valve faucet is one. Unscrews, water or gas can flow out; can be closed, the water will not flow. Tap at home is screwed on the tube, but some pipe factory use, inside the water or gas, the pressure is very high, not too strong with a threaded connection, welded directly or by other means to connect. Flange connection method is one of them.